The shape is thoughtfully sculpted for uncompromised comfort and easy-to-reach buttons. No finger contortions are needed to operate the buttons. Evoluent Mouse Manager for Windows provides extensive but easy to use functionality through a simple and intuitive interface. Includes driver for Windows XP, Vista and Win 7 in 32/64 bit for programming all buttons. The driver is not required. 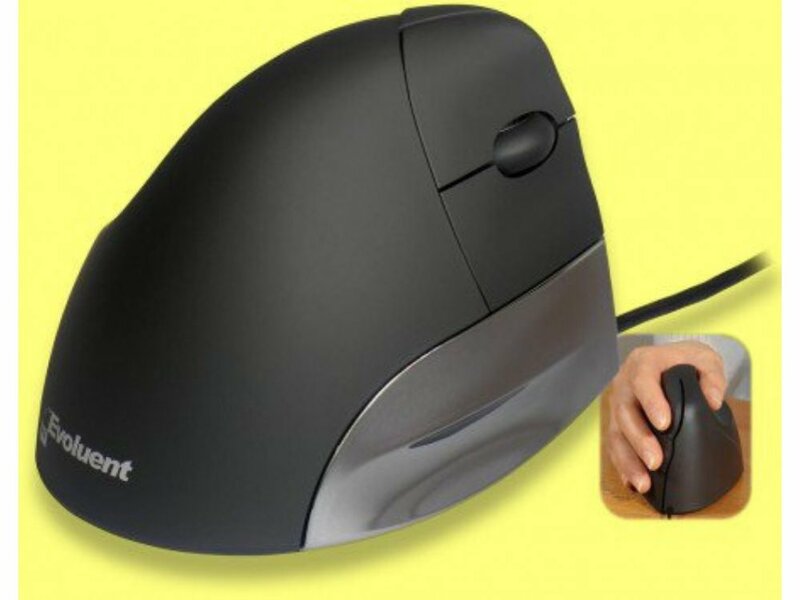 The VerticalMouse still has basic functionality without it. May be compatible with some USB KVM switches but it is not guaranteed. Downloadable driver for programming all buttons. The driver is not required. VerticalMouse still has basic functionality if the driver is not installed.